Innofil3D HIPS is a high-quality engineering thermoplastic. HIPS is well known in the 3D-printing industry as a support material for ABS. Innofil HIPS 0.75kg. 2.85mm diameter and approximately 90m long. Innofil3D HIPS is a high-quality engineering thermoplastic. HIPS is well known in the 3D-printing industry as a support material for ABS. With this lightweight material, your prints will have a beautiful matte finish. HIPS is easy to post process with glue or with sanding paper. The composition of the material makes it ideal for painting. 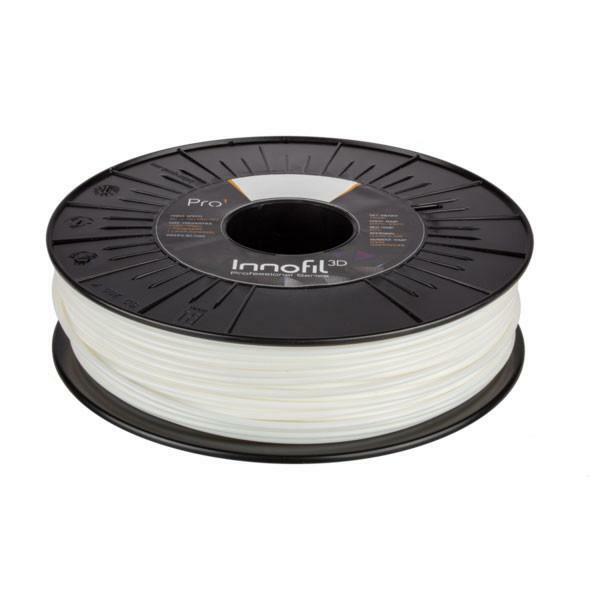 The Innofil3D HIPS filament is a great material to use as a support for ABS because it dissolves in D ‘limonene. Now you have the opportunity to create ABS models with a complex geometry. CPE/PET is recommended as THE intermediate printing filament. While both CPE and CPE+ provide similar performance characteristics, CPE+ provides the added benefit of higher temperature resistance and increased impact strength. Innofil PRO1 is a high-speed engineering thermoplastic that prints as easy as PLA at speeds previously considered unusable. It can reduce print time by 30-80% with mechanical properties that exceed printed ABS objects.